The internet has made all the customers “savvy”. Marketers have to innovate every now and then to get attention. The advertising and schemes are on a decline stage and less productive when it comes to actual Conversion. They are now used just to boost retention of the brand in the mind of customers. 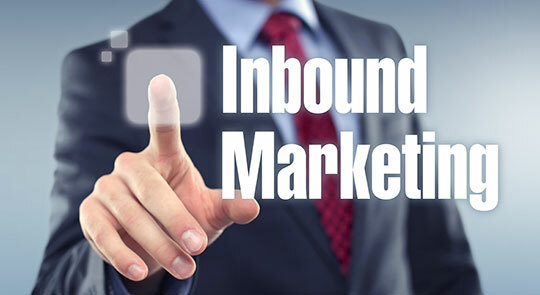 Now a new era has begun of Inbound Marketing. To be simple inbound marketing is to EARN the attention of the customer and not BUYING it. It is all about making the brand and content CUSTOMER FRIENDLY. The content delivered is more interactive and helping where as in outbound it was more about attracting or better say distracting the customer. Breaking the stereotype the telemarketing and mail bombarding doesn’t work nowadays. They are rather a hindrance to the conversion of the customer. Basically, inbound marketing is based upon four steps. They are ATTRACT- to make a customer visit the website, CONVERT- Convert the link to a potential buyer, CLOSE- to make the customer PURCHASE and DELIGHT- it doesn’t end there the marketers make sure to gain a loyal customer out of the converted ones. It basically follows the phrase of “Customer is the KING”. It is done by Content marketing, SEO, Infographic presentation, and many other activities to make the customer believe in the website and the BRAND. And it focuses precisely on the TARGET AUDIENCE. Thus, it is preferable because it is more Performance Driven and Customer-centered. Let us know how to work on the four steps of the inbound marketing in detail. To attract the customer to your website all you need is a good SEO and Content marketing as well as blogging. Content is the key. Nowadays people are pretty much reliable towards the internet for getting information on almost everything. They know the value of quality content. With a few good SEO activities, you can get genuine potential customers. Make them click on your link with a quality content. That is the most followed way. Don’t follow link building and promote yourself as a genuine seller. After you deliver a content that satisfies his needs or doubts he had, he will try to stay at that place for other information through different content you have uploaded. After that, you have a happy searcher of your keyword. All you need to do after that is try to get some details of the searcher. By getting contact details as the email address, you can and also knowing what he needs to send him the right product at right time. You can also try to direct the potential customer directly to your website. Once he lands on your web space, all you need is a quality and strongly optimized website. Make sure the website is customer friendly and also accessible from all the devices as tablets, desktops or laptops as well as mobile phones. By keeping your website well optimized, there is a high probability of closing the deal with a happy purchase. The work of a seller finishes there, but work of a marketer doesn’t, there is still more for the marketer. The ultimate of marketer apart from getting a customer is brand development as well as to create the base of loyal customers. Because they are the best assets of the brand, they create brand awareness as well as a positive WOM (Word Of Mouth). To keep them all connected to you as well as other happy customers is social media. Invite them to like your social media pages such as Facebook, Twitter, Instagram and many other possible places. Try to keep them lively and request them their feedback and suggestions on your products and services. This will help you get a genuine response as well as a DELIGHTED customer. Thus, with all these steps you can have a base of genuine customers. And try to avoid all the black hat and spamming techniques, as it might get you quick customer fall but the conversion rate is pretty low. Even the results are for short term and not long lasting. So to enjoy a long lasting result with a better brand image, you need inbound marketing. This article is written by Deval Darji from NesterzWeb. He is a One Man Army of Digital Marketing Field. 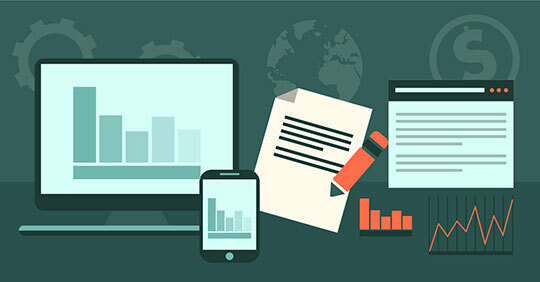 He not only holds expertise in Digital Marketing but, also has a profound knowledge of website development and possesses unique abilities to use that knowledge in making your online venture and website a lucrative proposal to the target audience. Follow him: Twitter | Facebook | Google+ | LinkedIn.